In the Eastern Cherokee Nation, the booger (tsu’nigadu’li) dance forms an important part of the winter celebration to discourage evil spirits from disrupting the coming growing season. 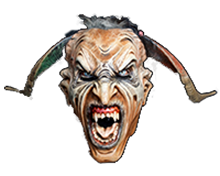 The boogers themselves represent the evil spirits, and they traditionally portrayed grotesque faces seeking to fight, chase women, and create general havoc. 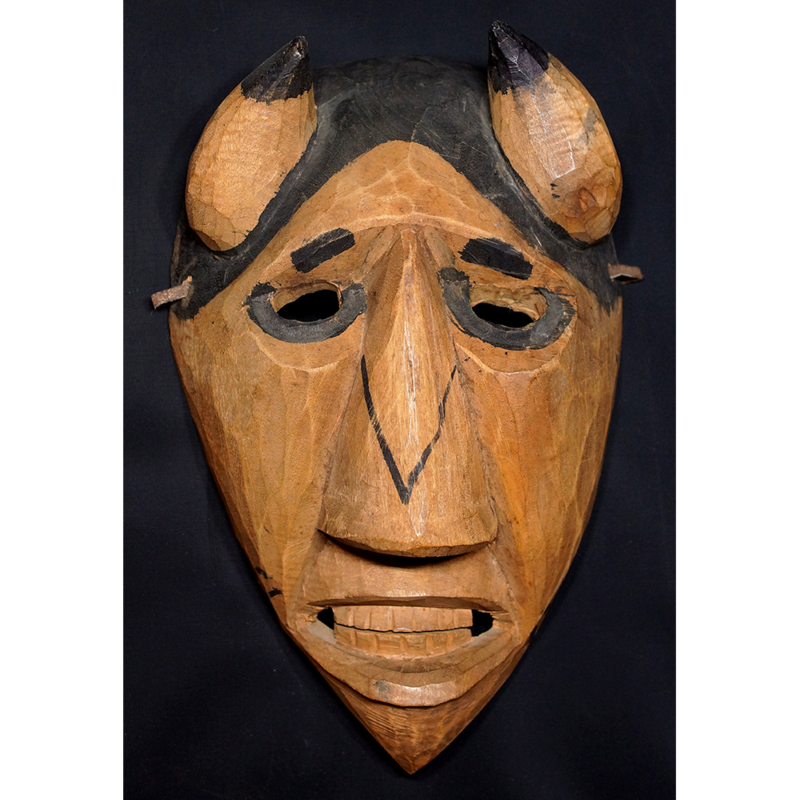 Following colonization, the booger dancers focused their misdeeds especially on satirizing the insolence, foolishness, and lust of European colonists toward the Cherokee women. Booger masks could be made of wood, gourds, or carved wasp nests. 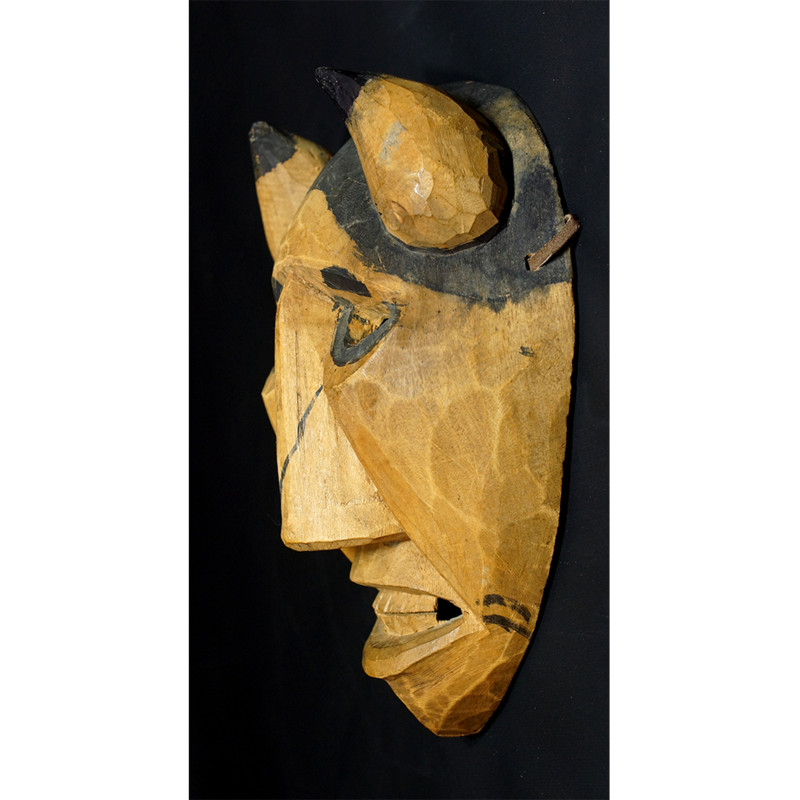 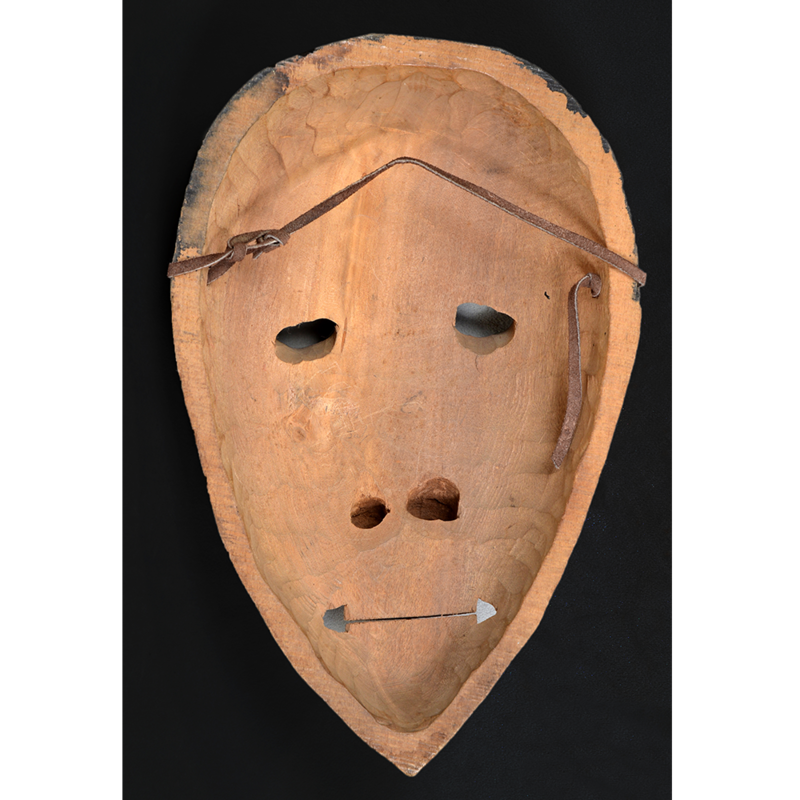 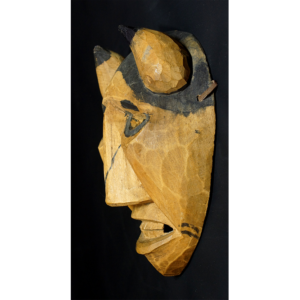 This specific mask was made by a famed carver, Allen Long. 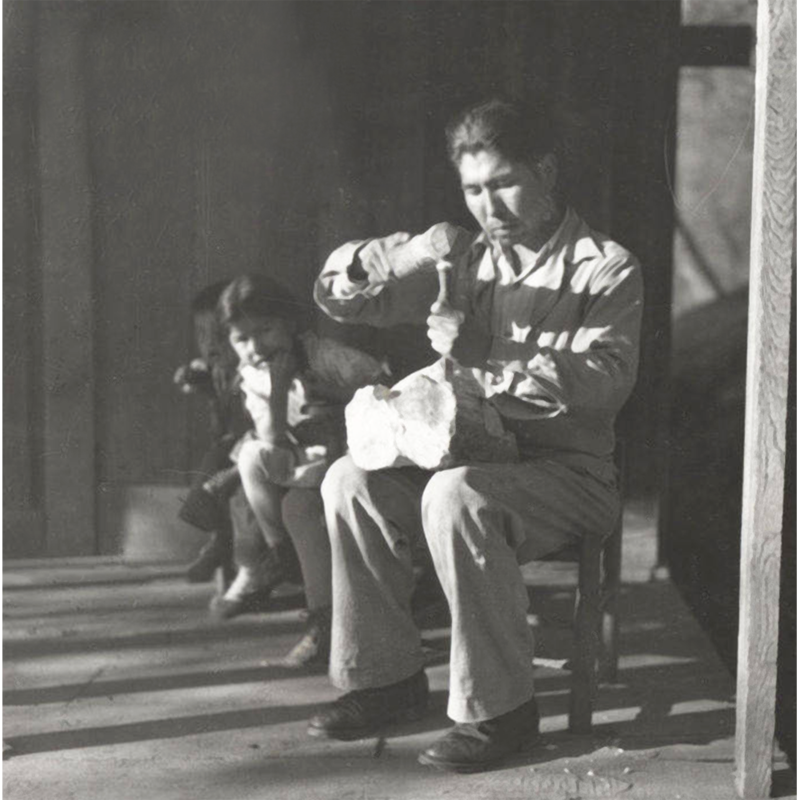 For more on Cherokee masked dance, see Frank G. Speck & Leonard Broom, Cherokee Dance and Drama (University of Oklahoma Press 1951).